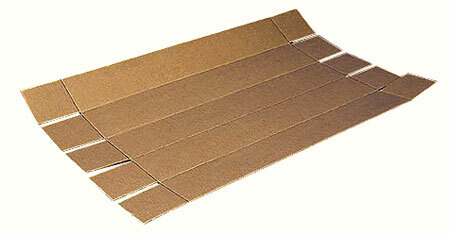 A single cut and scored corrugated piece. The fifth panel is used as the closing flap, completely covering a side panel. The closed ends have several thicknesses providing stacking strength and protection. Available in lengths from 12 inches to 12 feet.